In iTunes, Sync your iPod / iPhone / iPad as you normally would. Go to File > Library > Organize Library > Check to organize library and to consolidate files. Note: This does not transfer over device backups. Sync your iPod / iPhone / iPad as you normally would. After installing iTunes on a Windows 7 guest, I would then plug my iPhone into a USB port on my CentOS 6 host. 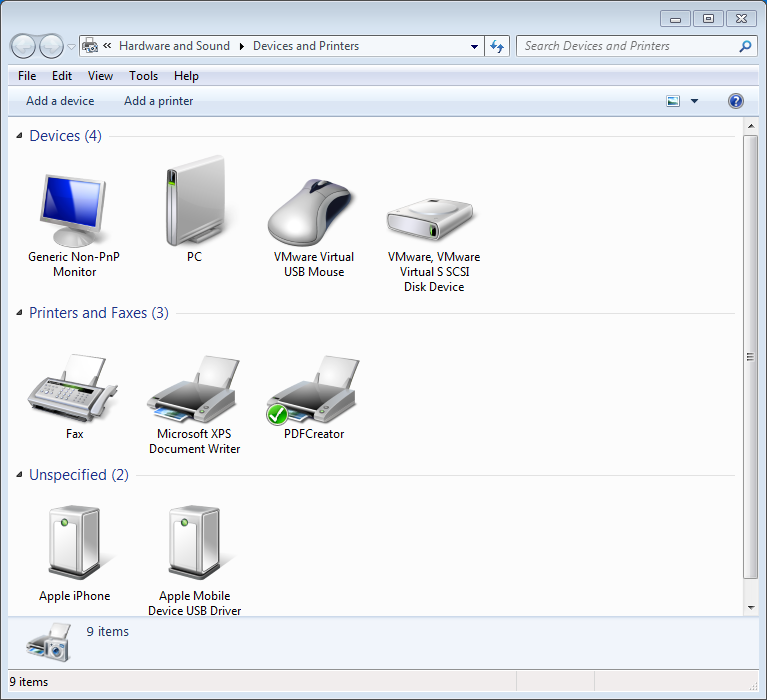 Inside of VMware Workstation 10, I selected the appropriate VM, then from the menu bar I selected VM > Removable Devices > Apple iPhone > Connect (Disconnect from host). 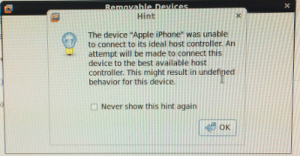 This causes VMware to attach this USB device to the Windows guest instead of the CentOS host. Go to Start > Devices and Printers. 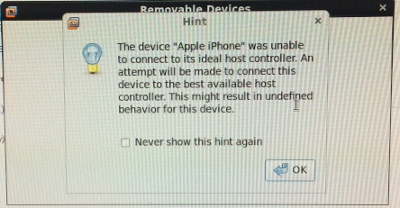 You should see two new devices under the Unspecified section called “Apple Mobile Device USB Driver” and “Apple iPhone”. 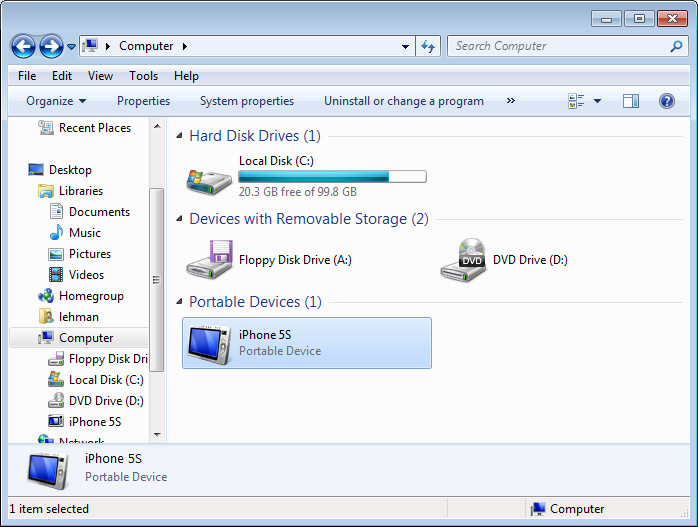 Also, if you open up Explorer and go to Computer, you should see your iPhone listed as a Portable Device. 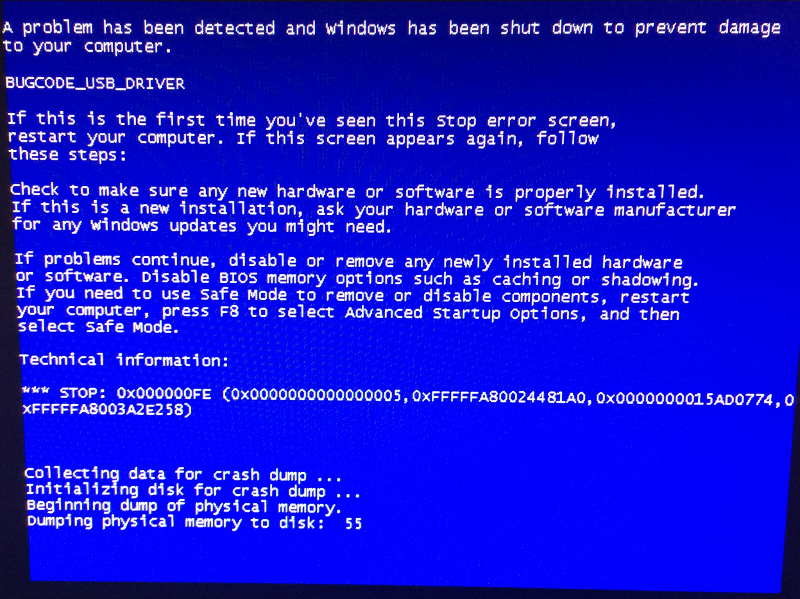 After browsing files on the iPhone within Explorer (using the iPhone as an internal storage device), I get a Windows blue screen including the message “BUGCODE_USB_DRIVER”. The guest machine crashes while the host remains stable. 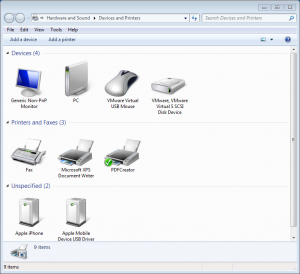 Change USB Compatibility from USB 1.1 to USB 2.0. 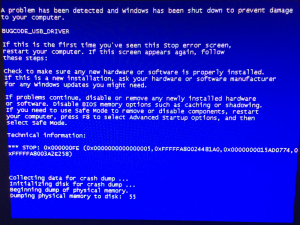 Save and restart the VM. Every once in a while iTunes does not recognize the iPhone. Usually this can be resolved, by removing and re-adding the iPhone or closing and re-opening iTunes. Sometimes by adding the iPhone prior to starting iTunes. Select “Bridged” instead of “NAT”.